Bloody Meari, Japanese Mezze & a 2-year bloggiversary! A toast to 731 days, to 258 posts, to 100+ recipes, to me, and without a doubt to you. To you who stop by to read my ramblings or look at my photos. To you who leave lovely comments. To you who I’ve met – in person and virtually – because of this little pocket of the interwebz. Today 84th & 3rd turns two and in celebration the drinks are on the house! Now in the interest of full disclosure, this festive beverage has been hanging out on a camera card for months. It was one of the items lost in the great-non-backed-up-computer-crash episode earlier this year and in an attempt to not come to terms with exactly how much was lost, I avoided looking at my camera cards until recently – and only then because we were going on holiday. 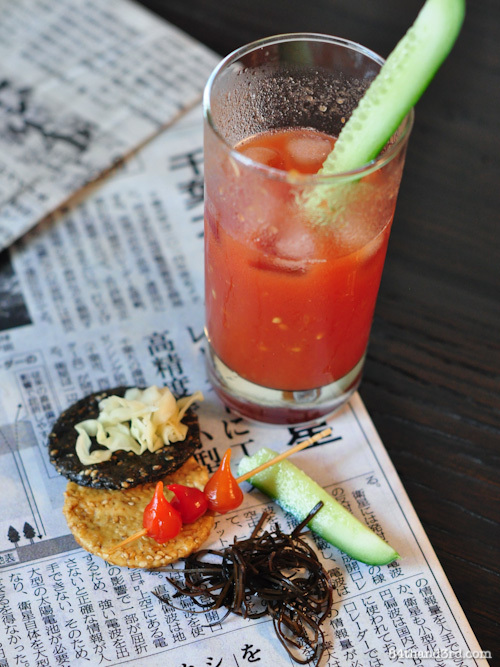 Finding this Japanese twist on a Bloody Mary still intact was particularly exciting. Now when one comes across fresh wasabi in-season at a farmer’s market one must purchase said wasabi – even if it is a tiny $3 nub and you have no idea about what to do with it. The same day I acquired the wasabi I couldn’t go past a net of brilliant red tomatoes – summer is tomato season after all, and although I give it a damn fine go I probably shouldn’t live on peaches and kale alone. Back at home I stared at my purchases, nibbling gently on a sliver of the wasabi as it gently nibbled back. 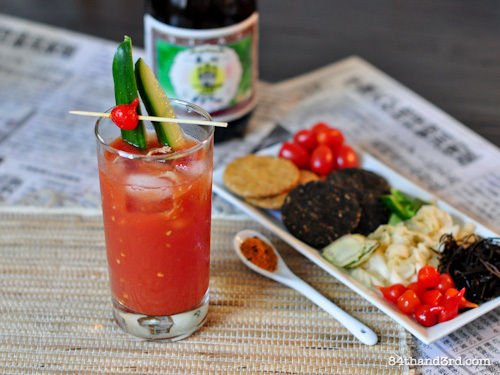 It was at once earthy and spicy, and genius inspiration struck in the form of a Japanese-inspired twist on my favourite brunch beverage – the Bloody Mary. From that point it was a run-away train. A makeshift platter of Japanese mezze developed quickly. I was on a savory kick after weeks of desserts and decided that a beverage this fresh needed crunchy, salty, spicy and tangy to accompany it. In place of the traditional green olives I whipped up some quick pickled cabbage, and a cucumber stood in for the celery. I hope you enjoy it as much as I did. So thanks for stopping by, have a drink and a snack on me and don’t worry, there will be cake soon enough. Cheers – or in honour of the Bloody Meari, Kanpai to many more years! 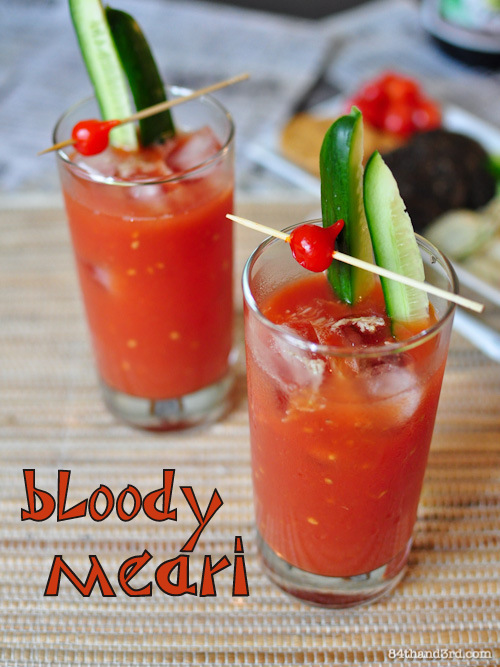 Meet Meari, the Japanese cousin of a Bloody Mary. Sake running through her veins, wasabi feathers in her hair, she dances inappropriately on tables one minute and demurely makes polite brunch conversation the next. 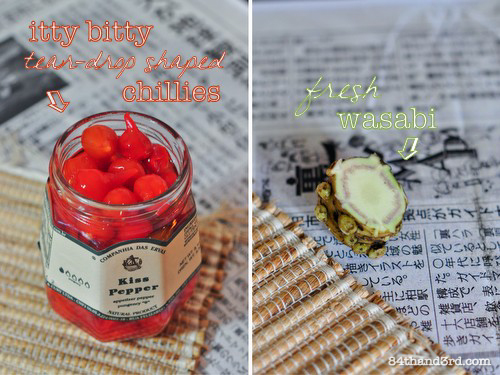 Fresh wasabi can be substituted with horseradish in a pinch – but if you can, get the real stuff, it’s an adventure. Kanpai! Score an X into skin on the base of each tomato and submerge in boiling water for 30 sec. Drop into cold water, peel off skin and cut out core. 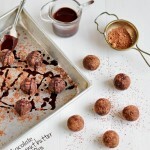 Blend flesh – you should have about 1 1/4 c puree. Combine puree with passata and water in a medium saucepan and simmer for 5 minutes. Cool. Stir through seasoning ingredients to taste starting with 1/2 tsp each. Pour Bloody Meari mix over ice and top with sake. Garnish with more fresh wasabi, cucumber batons and pickled chillies and a sprinkle of shichimi. Serves 2. Double, triple or times by 100 if you please. 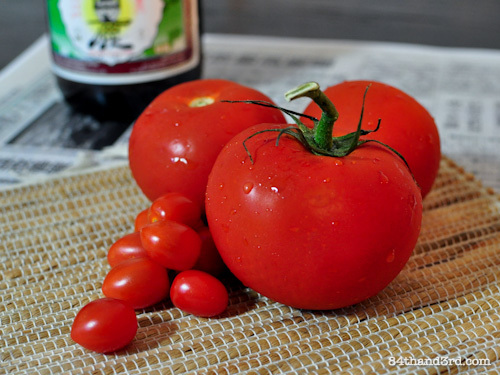 You can substitute the fresh tomato/passata/water mixture with prepared tomato juice – just read the ingredients for salt and other additions. 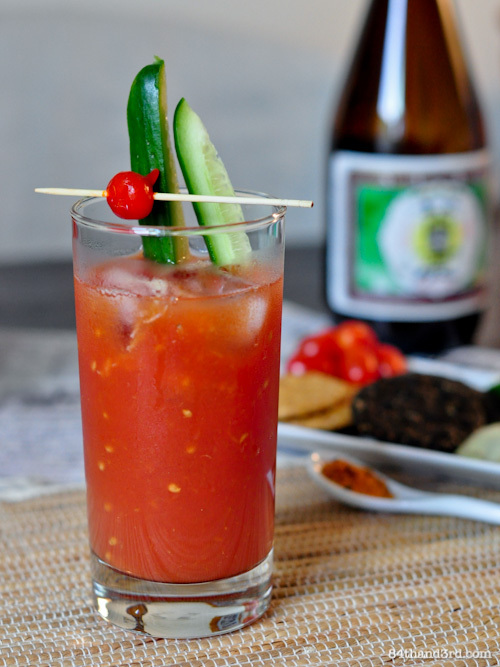 For a Virgin Bloody Meari simply skip the sake! Throw it in a bowl, pop it in the fridge overnight and voila – pickled cabbage. Pretend you slaved over it. This would be just as good with a martini as it is with a Bloody Meari. Mix all ingredients in a large non-reactive [glass or ceramic] bowl. Place a smaller bowl with a can inside on top of the cabbage to weigh it down. Set aside for a few hours or refrigerate overnight to marinate – stir once or twice if possible. 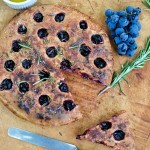 Rinse well, stir through extra apple cider vinegar and sesame oil and serve in place of green olives. Every good drink needs snacks. Crunchy, salty, spicy and tangy hits the spot every time. 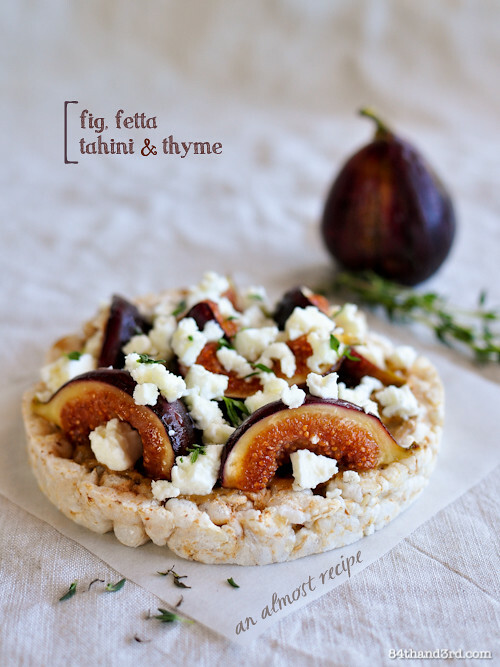 Arrange all ingredients on a platter. Serve. Cheers to you too and Happy Bloggoversary!! I’ve never seen fresh wasabi before. It’s rather pretty isn’t it? I hadn’t ever seen it either and thanks! Congratulations, dear JJ. So glad I met you at Eat Drink Blog 2 and do the SA bloghops with you. I’ll have to try to organise a trip to Sydney sometime so we can catch up properly – EDB3 went by in a blur. 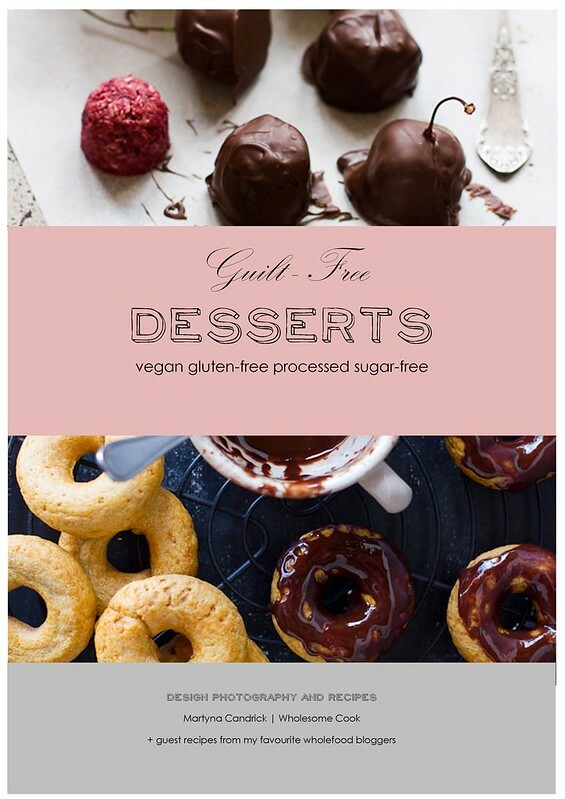 Great post – love all the colours and flavours. Thanks Christina, I know, the weekend was good but so very fast! We will have to catch up soon. happy blogiversary!!! here’s to many more delicious years to come! Thanks! Haha it figures that we caught up twice in one week after all that! It was great to finally meet you. Happy blogiversary lovely! Was great to meet you at EDB and hope we can organise a catch up next time Im in Sydney. I am totally blown away by that fresh wasabi…I had no idea it looked like that! I have never seen it over here in Perth…but Im going to start hunting. Happy Blogiversary!! It’s a great achievement… And I like that you opted for an alcohol post instead of cake!